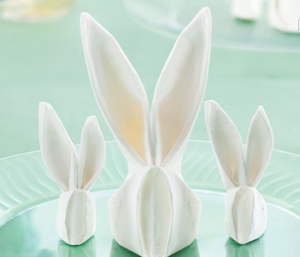 Here a few unexpected ways to bring some Easter touches to your home this month. 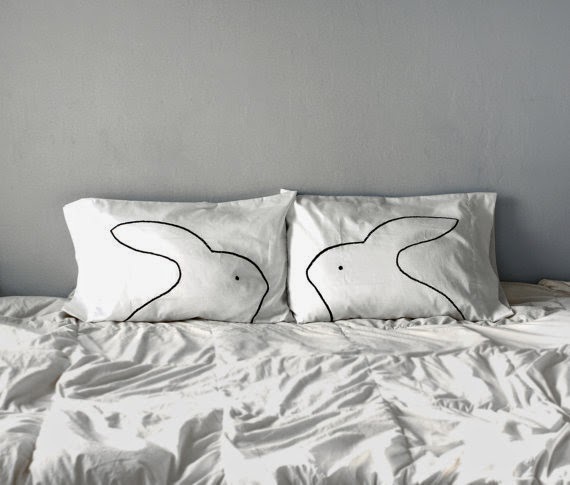 First up, these adorable bunny pillowcases. 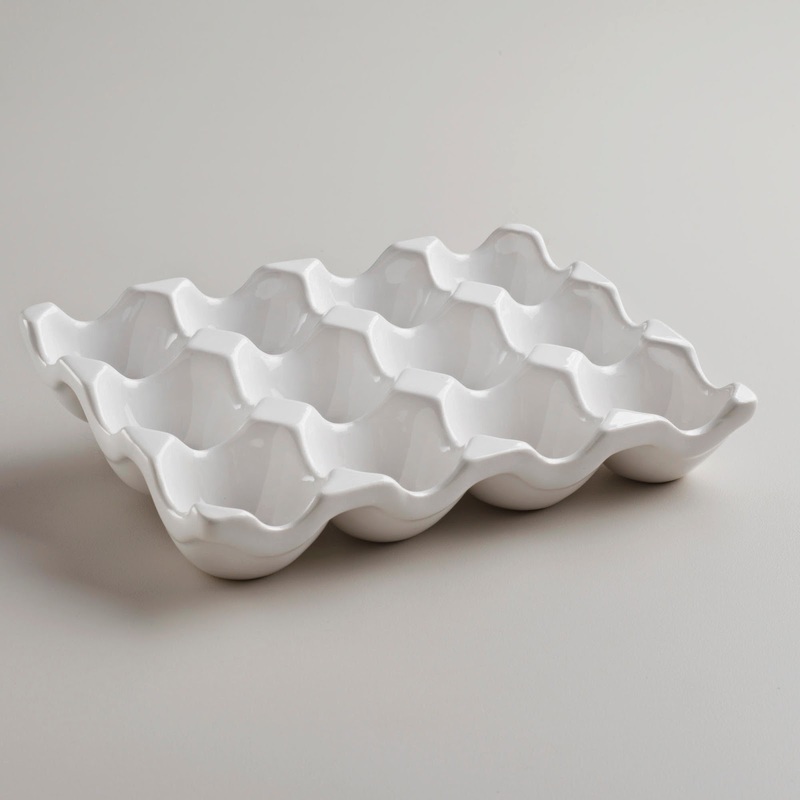 Also this white ceramic egg crate from World Market is perfect for displaying eggs. 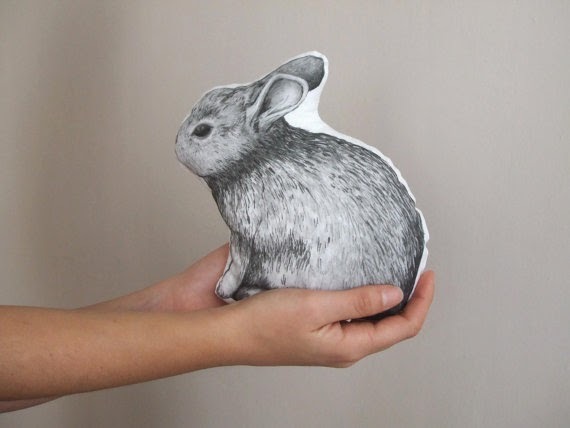 A favoloso little bunny pillow from an artist in Italy. And here's how to give your napkins bunny ears!